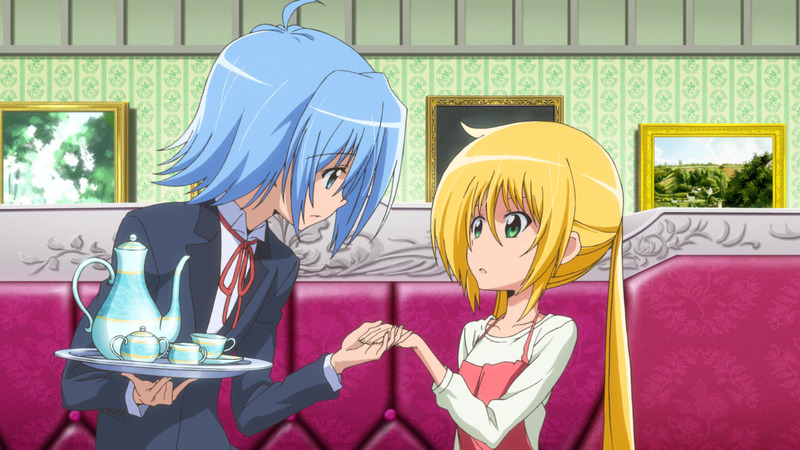 HOUSTON, December 18, 2014 – Sentai Filmworks is proud to announce its latest acquisition, Hayate the Combat Butler: Can’t Take My Eyes Off You. Based on the popular title published serially in Weekly Comic Magazine SHONEN SUNDAY, and with animation production by manglobe Inc. (Samurai Champloo), this third season of the Hayate the Combat Butler series forges a new path with an original anime story based on a series concept by original author Kenjirou Hata. It was a tumultuous summer, but it's drawn to a close and things have returned to normal at Sanzenin Mansion -- when suddenly a phone call is received from the Nevada police! "Have your father's belongings been found?" a voice asks. "No. I have no interest in such things," replies Nagi, as nonchalant as ever. But then a mysterious girl arrives, claiming what could be either a shocking truth or utter nonsense! Hayate the Combat Butler: Can’t Take My Eyes Off You will be available soon through select digital outlets with a home video release to follow.